Play game. Make friends. Get swag. Raise money for Lurie Children’s Hospital! 1. Download Shadow’s Edge for free at the App Store or Google Play. 3. Visit the Extra Life 4 Kids site to join the Shadow’s Edge Squad. 4. Tweet or FB a link to your page so that your friends, family and community can support your fundraising goal! Better yet, reach out to your community directly. Tell them that every cent of their donation goes to support the Lurie Children’s Hospital! Check out these hints from Extra Life to get ready, because “an ounce of preparation is worth a pound of chocolate!” Isn’t that how the saying goes? No? Oh, right, it’s “an ounce of prevention is worth a pound of cure.” But that’s not nearly as much fun. We’ll take the chocolate. 5. Get ready to play your brains out on Game Day, Saturday, November 3! Remember, people are pledging their support based on the number of hours you play. Block off the day. Get a good coffee maker. Consider stockpiling chocolate. You can even get set up to stream your game day on Twitch, if you want. And then settle in for a full day of gaming! 6. On November 3, play Shadow’s Edge! Unlock awesomeness in the form of phone cases, stickers and t-shirts, as you reach your fundraising goals! 7. Bask in the glory of your excellence (while catching up on all the chores, errands and work that you should have been doing on Saturday the 3rd). We will use this blog to thank all our team members directly! 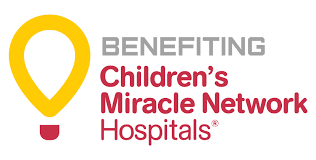 From 2008-2017, Extra Life 4 Kids has raised over $40 Million for Children’s Miracle Network Hospitals. This year, we expect more than 20,000 players worldwide. Our awesome Digging Deep squad is excited to GAME FOR GOOD on November 3! Join us to push this year’s total to a whole new level, like, up to 11! Need EVEN MORE INFO? The Extra Life FAQ’s probably have the answers.